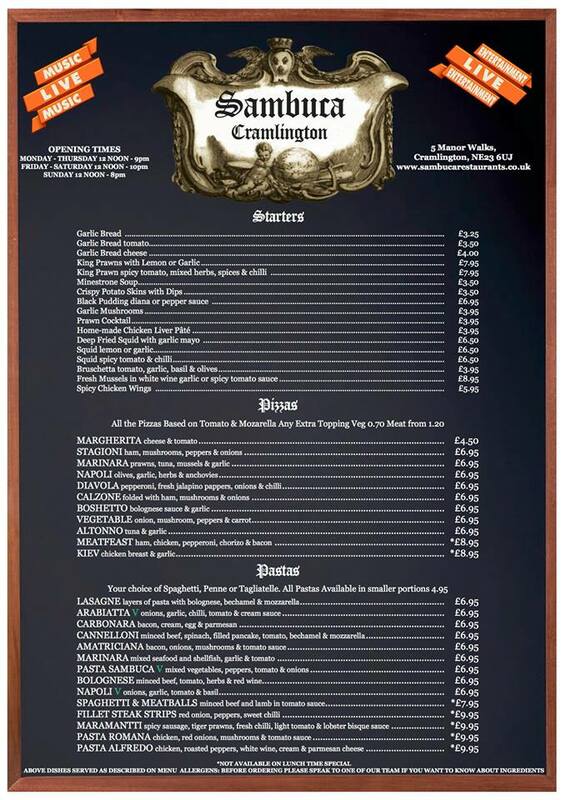 Sambuca Cramlington Happy Hour Menu Review | Will it be a success? There has been a lot of buzz around Sambuca Cramlington opening up in my hometown. I was planning on visiting on opening night but managed to contain myself and waited a few weeks until they had 'bedded in' to their new surroundings. 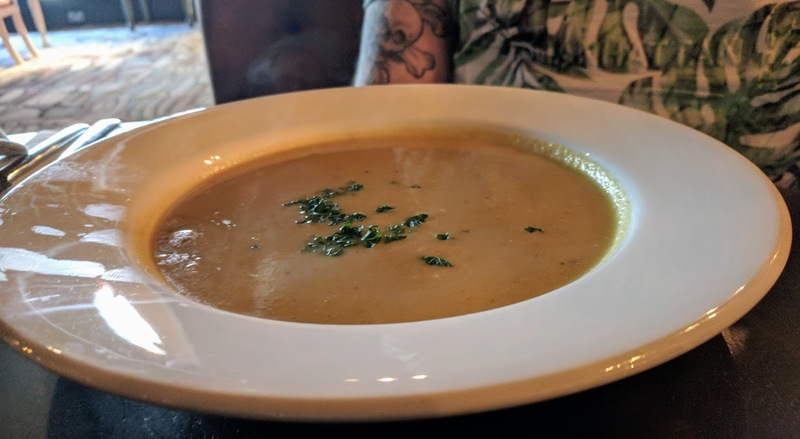 We turned up on a sunny Monday lunchtime without a reservation and it's fair to say we received exactly what we were expecting - a cheap and cheerful and speedy lunch in nice surroundings. 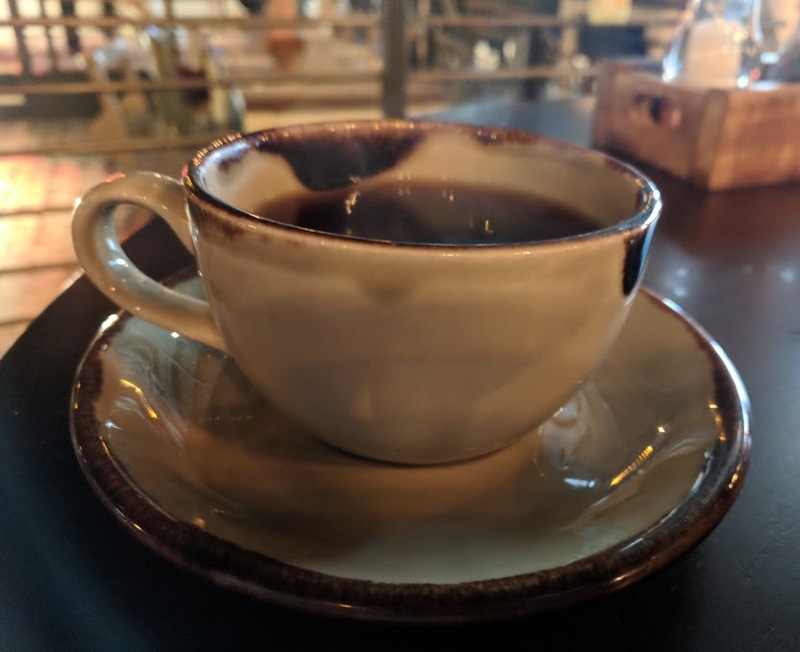 My experience was 100000% better than anything I ever experienced in the Glasshouse and I would say this restaurant certainly has its place in our town. Like most of Cramlington, I was so excited about the Glasshouse opening in Cramlington. A decent cocktail bar was just what we needed. The refurbishment was gorgeous and the bar and restaurant looked fantastic - it was clear a lot of money had been spent. Which is why it baffles me that higher management and the owners just seemed to abandon the place once it had opened. 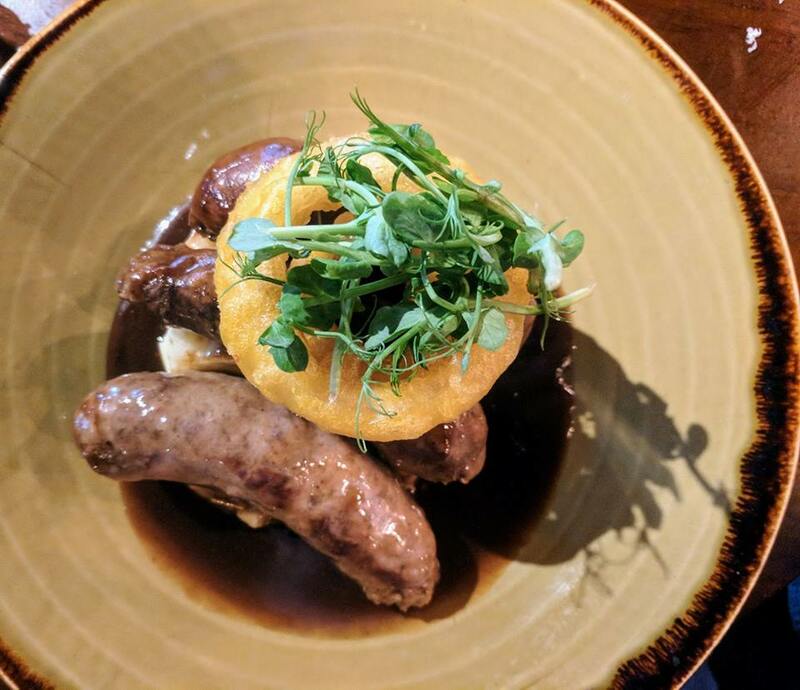 I visited on three occasions and experienced extremely bad service and a clear lack of leadership including a rather embarrassing 2 hour wait for a sausage and mash when there were only 5 other tables in the restaurant. If the Glasshouse was my baby, I know I'd be running front of house 99% of the time until the staff were up to speed and constantly checking the standards were there. It baffles me that this didn't happen. My experience mirrored most of Cramlington and it all ended in tears with rumours of bailiffs removing stock, services like card payments being withdrawn and staff not being paid and making a big public fuss including putting handwritten notes on the restaurant's windows. Yikes! The whole thing just seems like one huge waste of time and investment which is a shame as it could have been so good and had huge potential. I will be honest - I used to be a complete Sambuca snob and turn my nose up at the chain but after I visited the Blyth branch with my mam during her foster carer meet-ups a few years ago, I changed my mind. 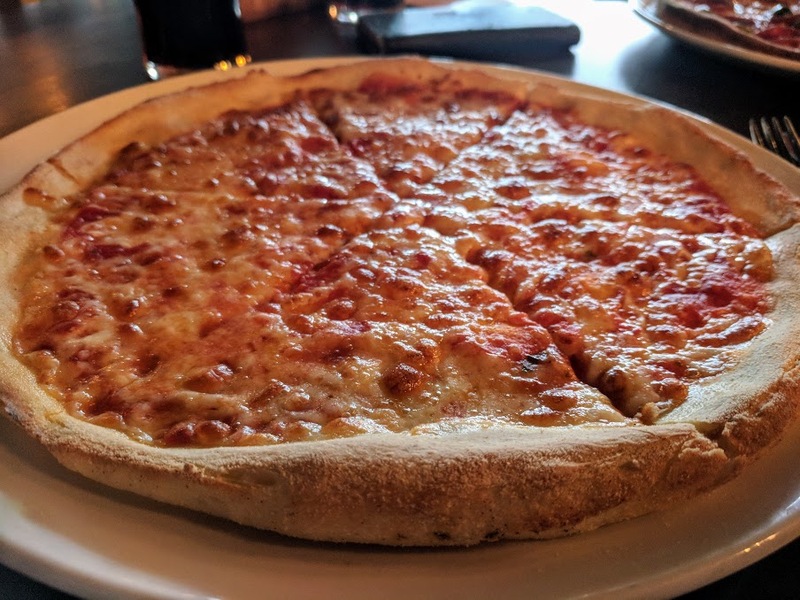 I'm not exactly a regular customer, nor will I say they serve a decent pizza BUT there is a clear gap in the market for cheap and cheerful happy hour pizzas and pastas for families who are on a budget but still want to go out and enjoy a lively restaurant experience. 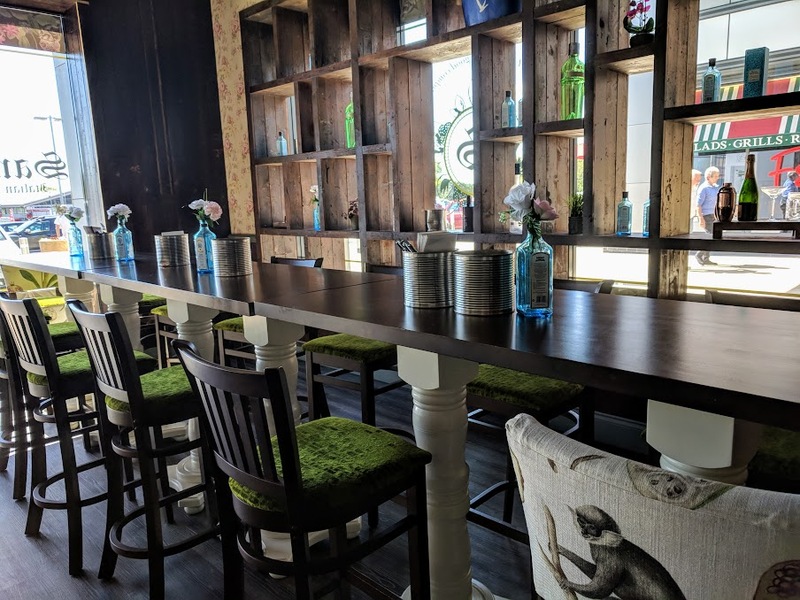 Cramlington doesn't really have a restaurant like this so I think opening a Sambuca here really will fill a gap and I do think it will be a success. I visited at 12noon on a Monday lunchtime. Monday lunchtimes are notoriously quiet in the restaurant trade and I know if we'd have walked past nearby Prezzo, there wouldn't have been a soul inside. Yet Sambuca seemed to fill up pretty quickly and by the time we left at 1:15pm, pretty much every table had been taken. I have to say, we were in shock! How do they fill every seat on a Monday lunchtime?? The clientele seemed to be young couples, older couples, families and friends meeting up. I am guessing the reason Sambuca is so popular is their £5.95 for 3 courses lunchtime special which on the surface, seems like a fantastic deal and I agree, is very tempting. The restaurant had a very good atmosphere, it was nice and livley with the front of house sporadically shouting out random words in Italian (I think??). The staff were majorly on the ball and our drinks order was taken within a minute of us sitting down and our food arrived quickly. I've heard a few people mention the restaurant can get a little noisy but even when it was full it was fine for us - sometimes there is a live singer performing which judging by a few Facebook comments I've read can be a bit much! I think with Sambuca, you get what you pay for. We were expecting something cheap and cheerful with good service and that's what we received. The Sambuca happy hour runs from 12noon - 5pm Monday-Friday and 12noon-3pm on Saturdays. For this you can choose potato skins or soup of the day, pizza or pasta (excluding premium toppings) and then coffee or ice cream. Panuccis in Smithy Square serves this same offer for £7.45 so there's no denying Sambuca is cheap as chips. 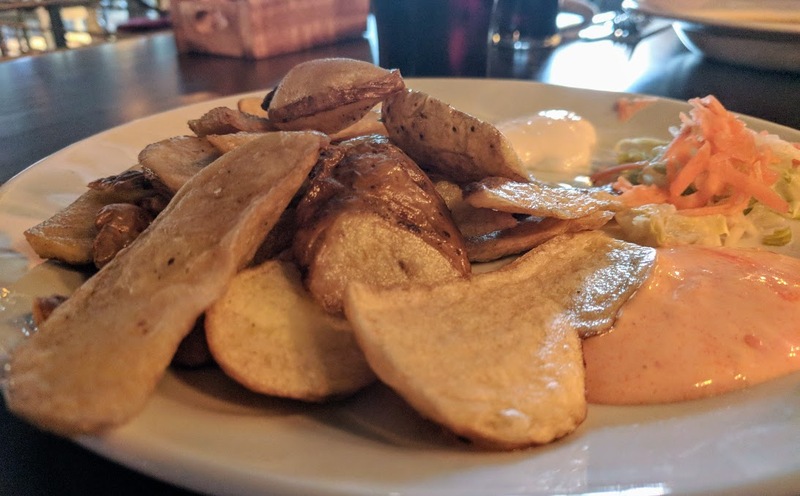 I ordered potato skins to start. The portion was larger than I expected but the presentation left a lot to be desired. I loved the garlic mayo but was amused to also find a dollop of Marie Rose sauce on my place. Not a natural accompaniment to potato skins - I think BBQ sauce would be a better idea. The skins weren't as crispy as I like them but they were perfectly edible. My dining companion ordered vegetable soup and again, it wasn't anything special but it wasn't the worst soup in the world either. Onto our pizzas and I went with my favourite (and some would say boring) Margharita. It was cooked from scratch in house so that's a start and the tomato sauce was lovely. The base was very thin and I've heard rumours that Sambuca use fake cheese on their pizzas - I don't know whether this is the case but it was certainly a bland offering. Although it was bland, I did still actually think it was nice for the price point and it's the kind of pizza that my kids would wolf down in no time. Because it was so thin I expected to leave feeling unsatisfied but I was actually full up and even left a few crusts. 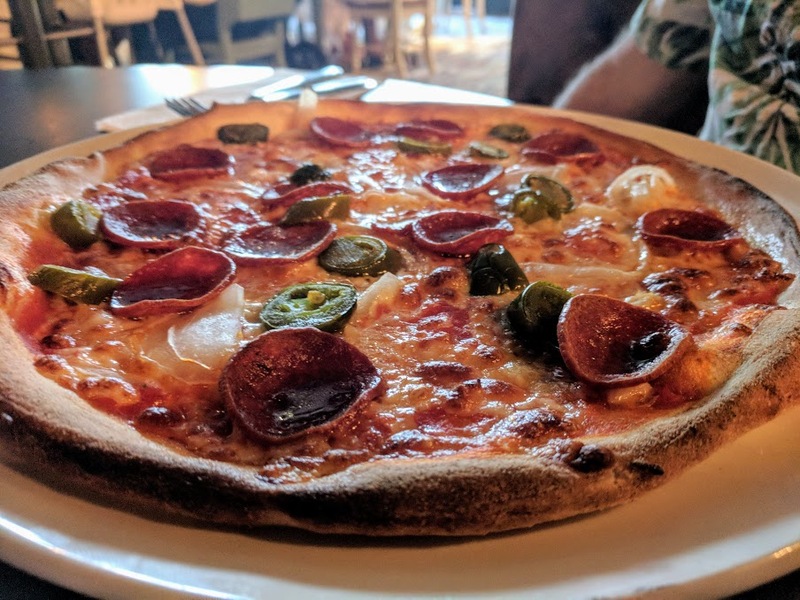 For the price, they're never going to use the finest ingredients so don't visit if you're a pizza connoisseur but if you fancy a quick and cheap pizza lunch that will leave you feeling satisfied, it's ideal. We ended our meals with two Americanos. Again - they weren't the best we've ever tasted but like the rest of our meal, they were adequate and did the job. £5.95 for all of that - you can't really complain can you? 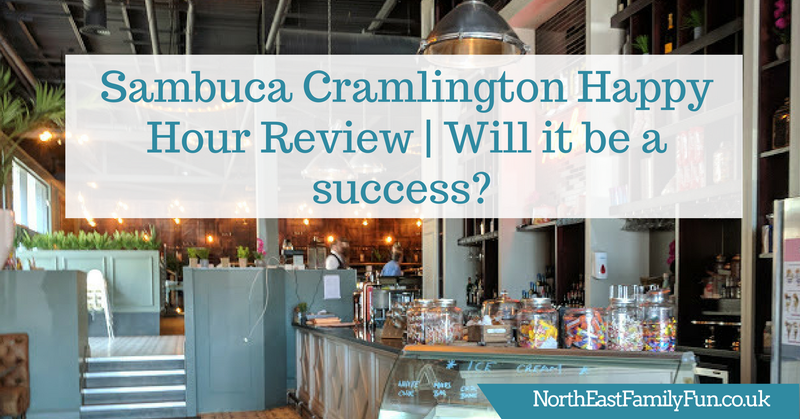 Does Sambuca Cramlington offer good value? On the surface, you think you're getting a good deal, but that's all due to clever marketing. In reality, you're actually not getting as good a deal as you think. The mark-up on non-happy hour food is horrendous. A Sirloin Steak was on the menu for £19.99! Now Sambuca and quality don't go hand in hand so I'm guessing their steak isn't coming from an Organic farm or anywhere special. 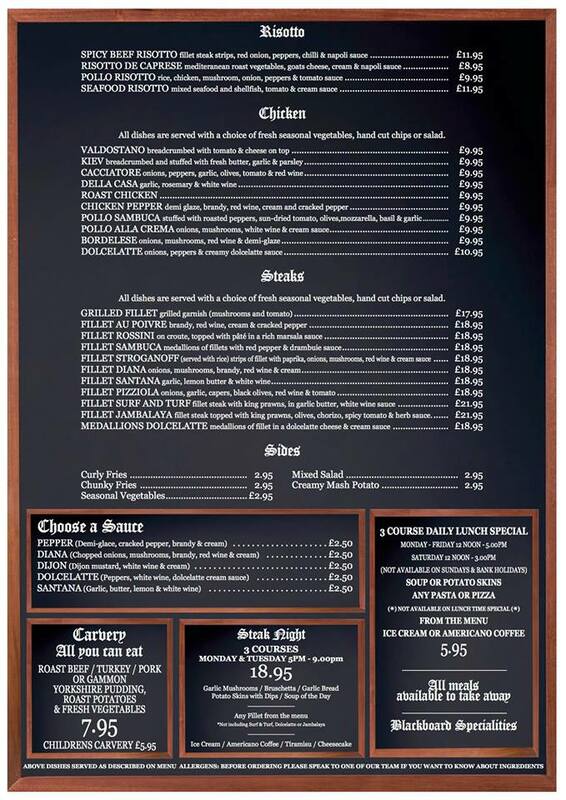 To charge this price when you can order a steak with all the trimmings from the Hungry Horse a few doors done for half this price seems ludicrous to me. I'm guessing they come from a similar standard of supplier. 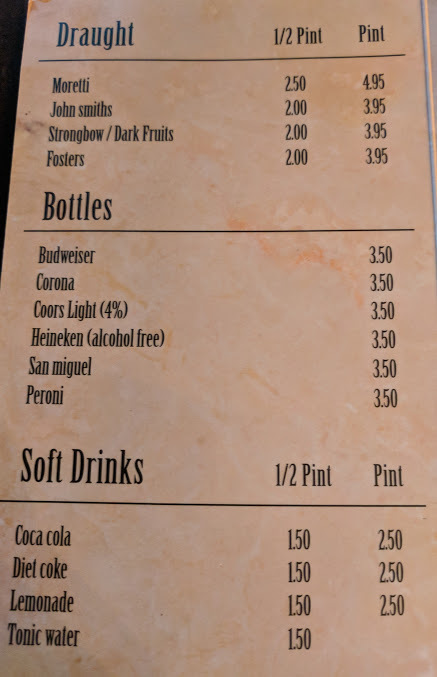 There is also a huge mark-up on drinks. A bottle of Prosecco is £19.99 - I wouldn't pay this price when I can buy one for £9.99 in Wetherspoons around the corner. If you ask for a coke, they'll bring you a large one which at £2.50 is an expensive add-on - unlimited soft drinks are available for £2.20 from Nandos next door. Speaking of Nandos, I know a lot of people comment that they think it's expensive (I'm not in that school of thought - we love it). A meal there for 2 adults and 3 kids plus drinks will normally set us back £50 and we're left feeling stuffed! There's no children's menu at Sambuca Cramlington (that I could see anyway) so if the five of us ordered 5 x £5.95 happy hour plus 5 x £2.50 soft drinks at Sambuca, the cost would be £42.50 - just £7.50 (or £1.50 each) less than Nandos. When you look at it like this, it's not as good a deal as you first thought. In fact, if we dined at Sambuca outside of Happy Hour, I am pretty sure our total bill for the family would be higher than many places in Cramlington. Sambuca Cramlington - would I return? It may seem that this review is fairly negative but do you know what, I will return to Sambuca. Probably time and time again. 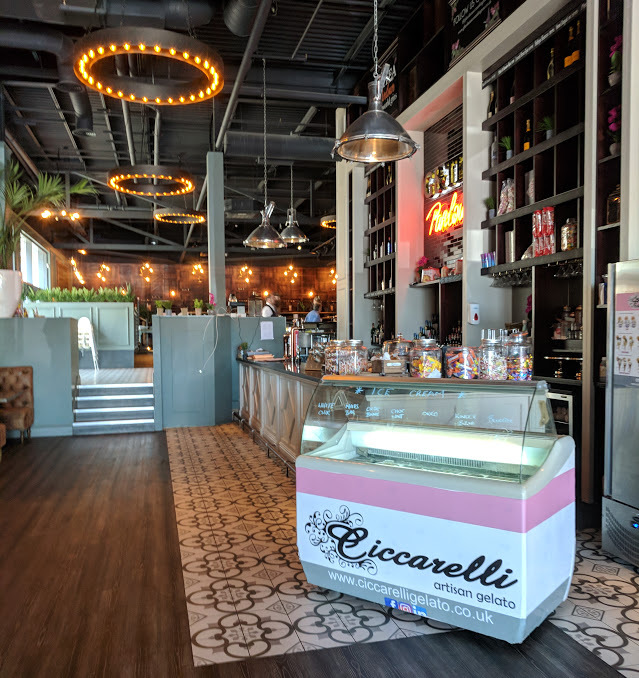 I'm not likely to visit for date night any time soon but I can certainly see that it has it's place - if we fancy a pizza before the cinema on a Saturday lunchtime or if I'm looking for somewhere to take the kids after school for a treat - Sambuca will tick those boxes. They also run a few drinks promotions in their bar (I noticed an offer for a glass of Prosecco and a slice of cake for £5.75) and as the bar area is really lovely, I can imagine popping in for a drink with the girls or Steve. They also seem to have an ice cream stand with ice creams to take away which I'm sure will be nice to pop in for with the kids when we're visiting the newly refurbished Seven Oaks Park across the road. I have a feeling it's going to do really well in Cramlington and as one of only a few local businesses in Manor Walks, I wish them every success. 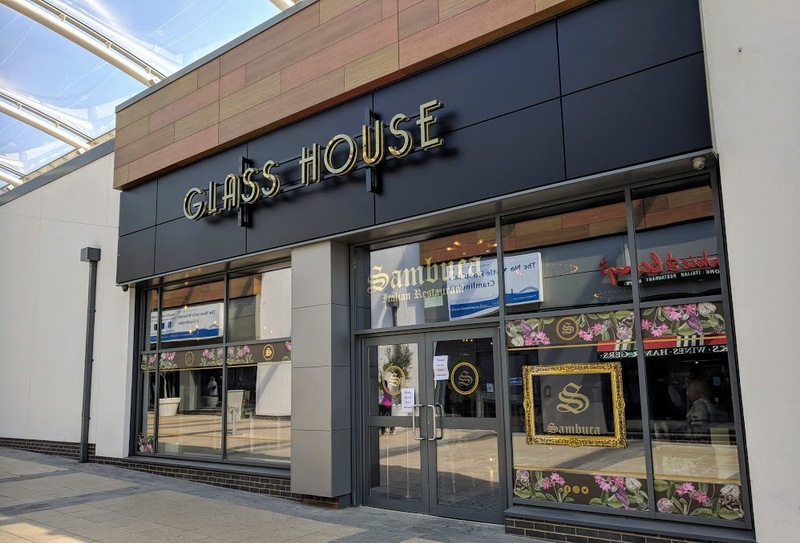 You can find Sambuca Cramlington in Manor Walks next to Frankie & Benny's and Vue Cinema. Here's a link to their current menu or you can view below. Looks like a nice restaurant. Their pizza looks delish.